Motocross Madness finally got a release date. 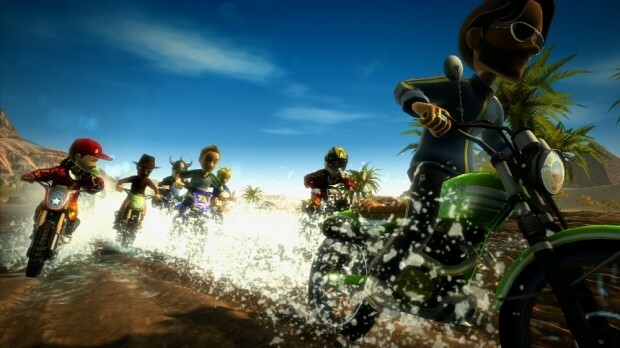 The game was officially announced by Microsoft for XBLA back in June 2012 and while it now seems to have dropped the “Avatar” prefix, will still allow players to take their Xbox Avatars free-riding across massive environments, from the deserts of Egypt to the snows of Iceland this April 10. Players will be able to drift, trick and turbo boost their way across 9 expansive off-road tracks in single player events, ghost challenges and 8-player online multiplayer races as well as 2-player offline competitive and co-operative modes. The game is also thought to utilize the Avatar Famestar program but no pricing details have been revealed as yet.